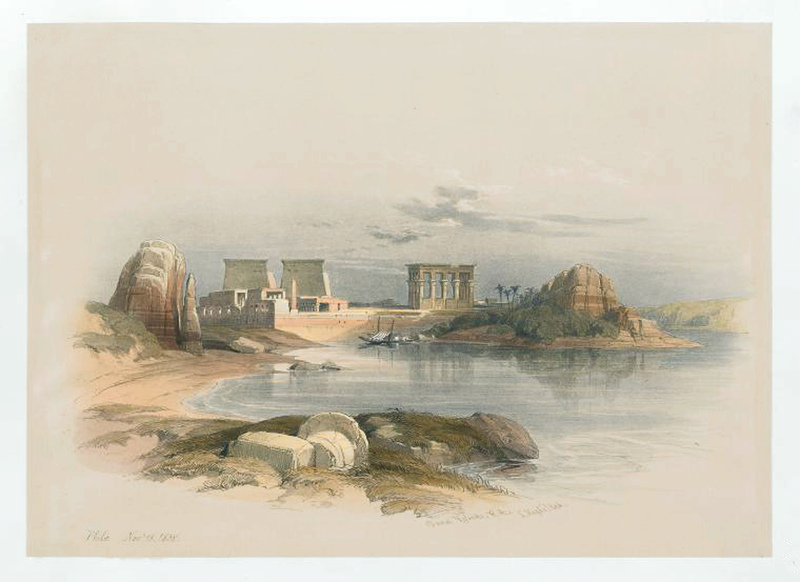 Comments: A very popular half-folio print of the Philae temple, as seen from the south. The Philae complex was dedicated to the worship of the goddess Isis, ruler of the moon, agriculture and protector of marriage. Price: $400 uncolored, $500 colored. Title: Island of Philae, Looking Down the Nile. Paper : 16 5/16" x 2315/16"
Image: 10" x 13 7/8"